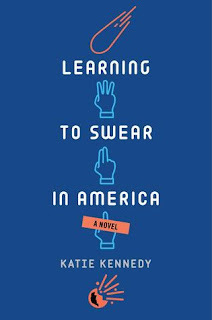 Kennedy, Katie. 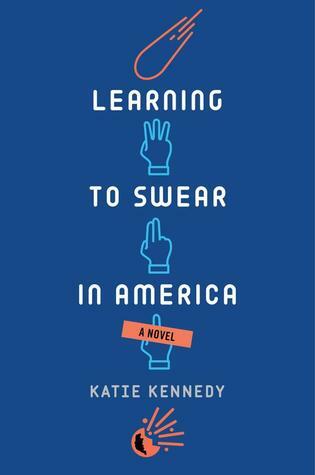 Learning to Swear in America. Bloomsbury, 2016. Yuri is a genius. At 17, he already has a PhD and has unpublished work that will probably win him a Nobel prize. So when scientists discover that an asteroid is headed toward Earth, Yuri is high on their list of people they want on their team. He is flown in from Russia and placed in a group to solve the asteroid issue. Because of his age, few people will take him seriously. He doesn't fit in with the scientists, so he finds some teens and attempts to assimilate American culture through them, meanwhile continuing to try to convince adults that his idea is right. This book was truly a good read. Yuri is a very sympathetic character, and I love that he simultaneously dresses in suits because he's around adults all day and also sneaks out of his hotel at night because he is a teenager. He is often frustrated by the adults around him who fail to take him seriously. Meanwhile, there is an asteroid heading toward Earth and that tension builds as the reader knows that, one way or the other, by the time the book is over they'll know whether the scientists' plan worked or not. This is a delightful story that would appeal to a wide range of readers.